Gene Christian is considered one of the region’s foremost authorities in the fields of planned giving and advancement. He regularly contributes to regional and national publications and presents at conferences all over the U.S. 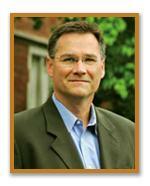 He works with many organizations by conducting visioning and strategic planning sessions. He received his Bachelor’s degree from George Fox University and a Master’s in Education from the University of California at San Diego. In 2014 Gene received the “Distinguished Service Award” from the NW Planned Giving Roundtable for his exemplary service and commitment to the planned giving community. This entry was posted in Meeting on October 19, 2015 by planest99.